Throughout the end of my first trimester and most of the second, I favored big and loose shapes. 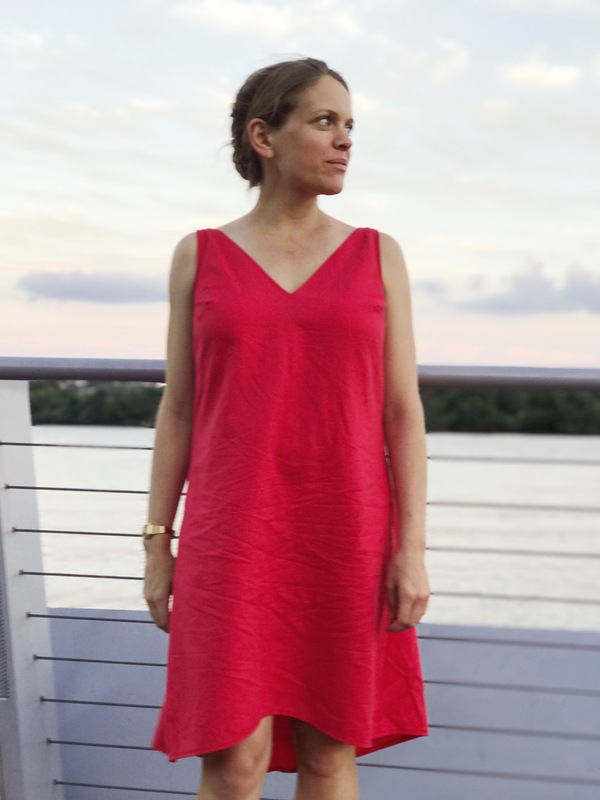 This was partly belly-driven and partly DC-muggy-af-summer-driven. 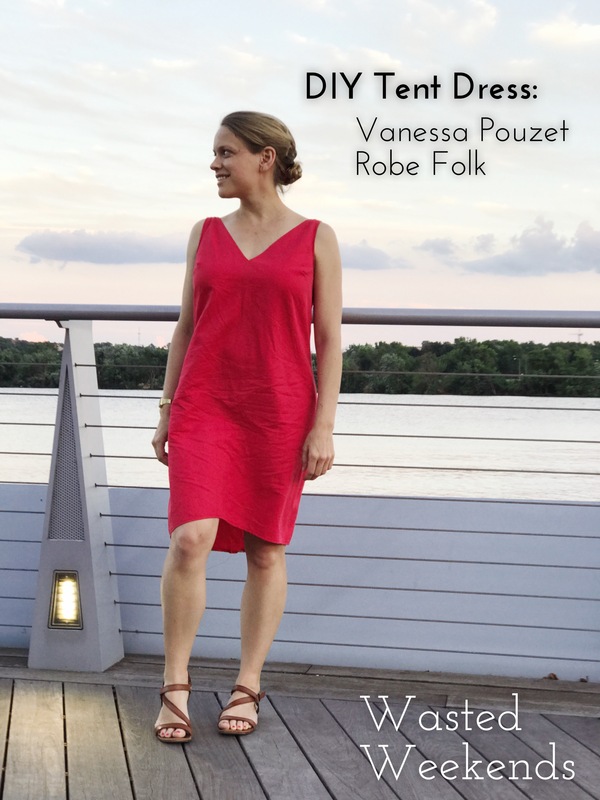 Here, a loose sleeveless dress — the modified Robe Folk from French pattern company Vanessa Pouzet. This is the second version of this I’ve made, and it was record fast. I made it between a morning fourth of July trip to the beach and an evening fourth of July party. The original was much more drapey and flowy (and twirly! ), made from self-lined silk crepe de chine. The biggest difference between my versions and the original are the lack of sleeves. 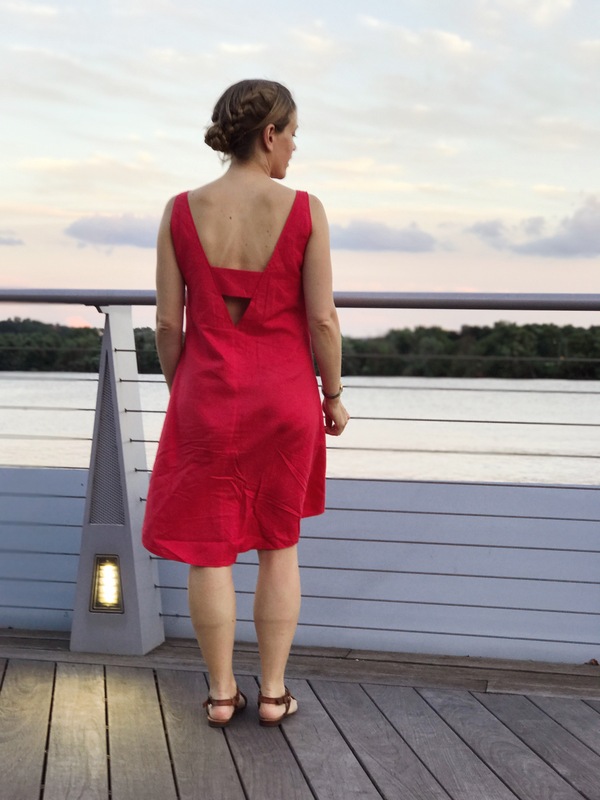 For the red linen version, I wanted a dramatic low back, but a bra-friendly one, so I just made a massive 3” panel to that cuts across the deep V back. A 3.5” or 4” panel would have ensured a bit more coverage. :: lowered center front seam 1/2”, grading to nothing at the side seams. That was a concession to my emerging belly. 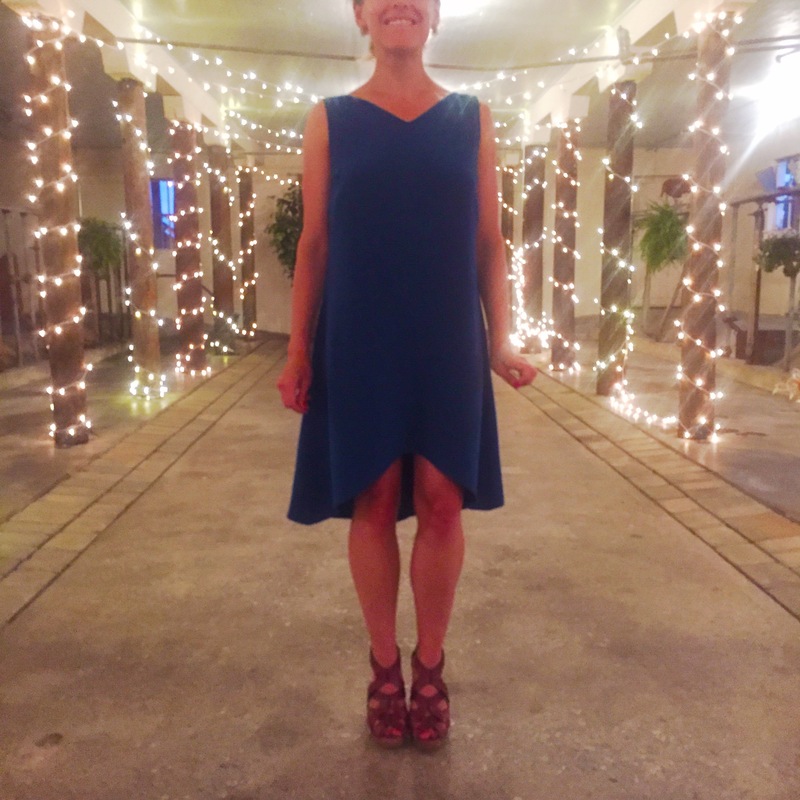 It’s a tent dress but this helped ensure the hem didn’t pop up too high too soon. 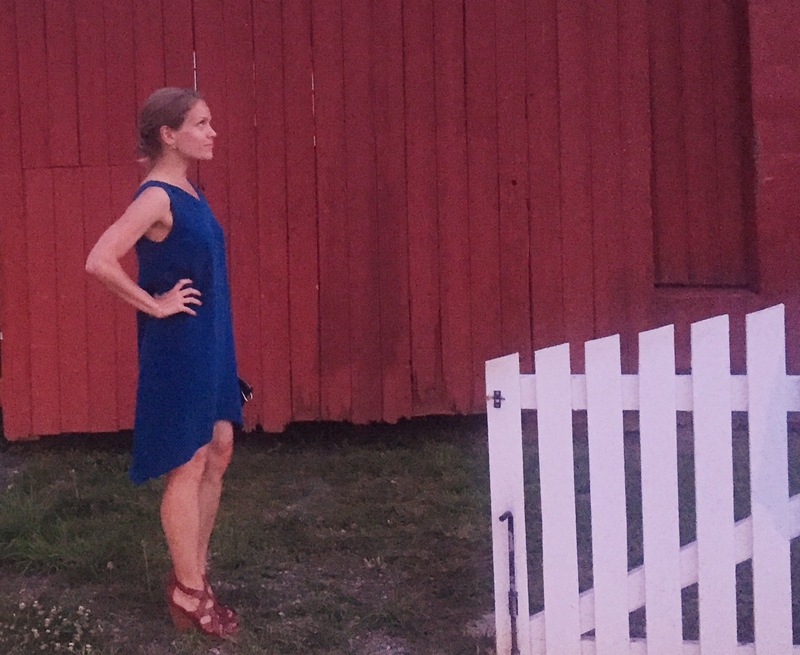 I annoyingly don’t have a very good picture of the original dress — just all these blurry ones — but I wear it a lot in the summer. 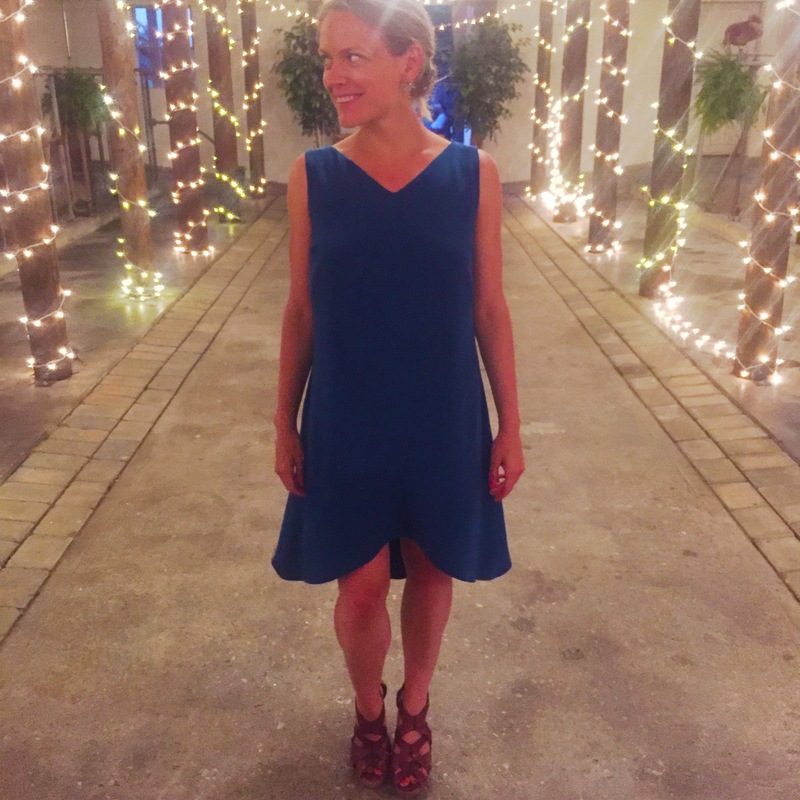 It’s my ‘just-a-little-bit-dressed-up’ dress that works out to dinner or at a summer wedding. The self-lining makes it substantial and drapey even though the fabric is cool. I went a little crazy trying to adapt the pattern to my short torso, and ended up reducing the length a lot in the bodice. Things fit ever-so-slightly funny, particularly with the bust darts being up a bit high. So if the dimensions are a bit off, that’s my fault, not the patterns. I used the pattern as modified below for my red linen version, but have made a note to lower those bust darts in the future. :: removed 1” just above the hem. :: did an FBA, adding 1 and 1/4 “ on each side. And there you have it. 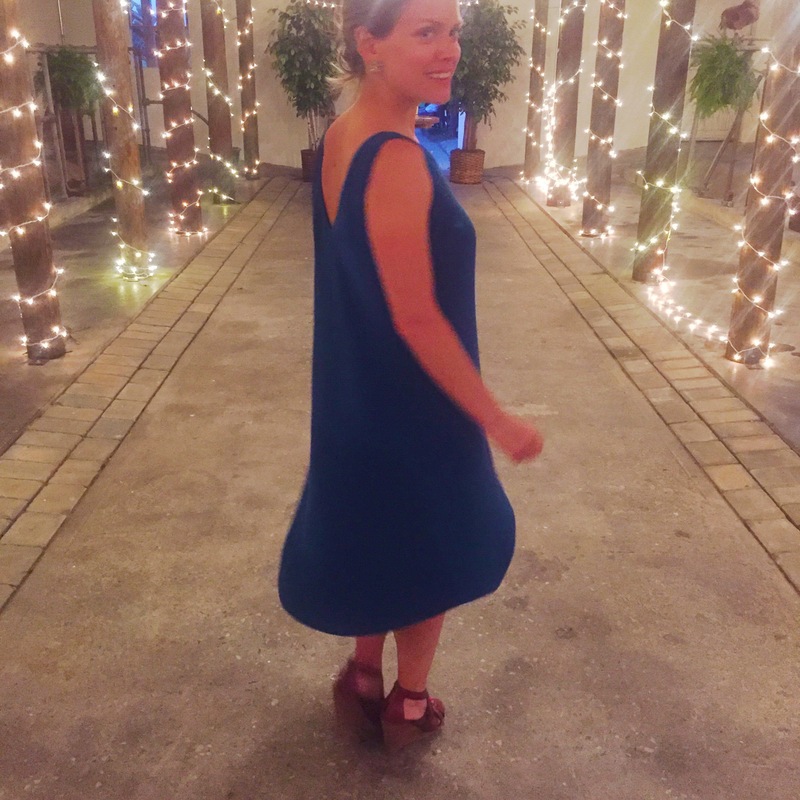 A tent dress, for pregnancy or not.